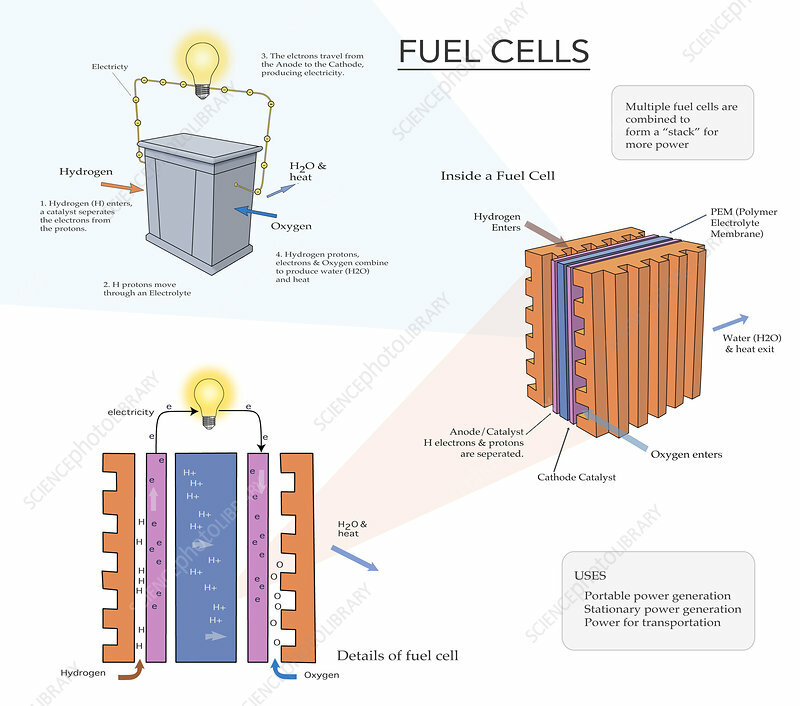 Illustration depicting how a fuel cell converts the chemical energy from a fuel into electricity. This is usually done through a chemical reaction with oxygen or another oxidizing agent. This process can be used for portable power generation, stationary power generation, or power for transportation.